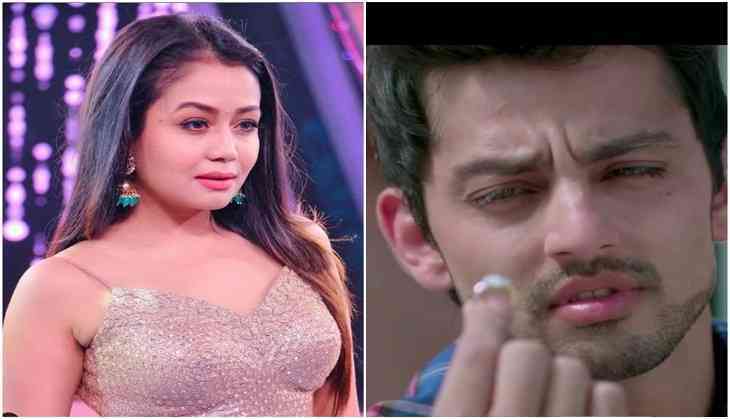 Home » Bollywood News » Why Neha Kakkar's ex-boyfriend Himansh Kohli hasn't deleted their PDA pictures from Instagram will shock you! 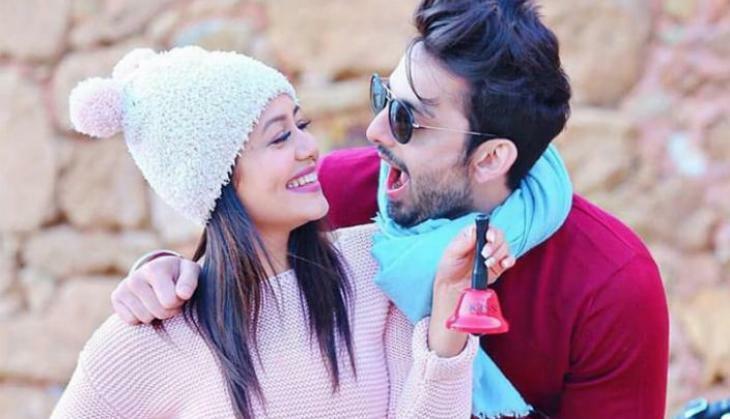 Why Neha Kakkar's ex-boyfriend Himansh Kohli hasn't deleted their PDA pictures from Instagram will shock you! Popular Bollywood singer, Neha Kakkar happens to be one of those celebrities who remain in the limelight for many reasons be it her new songs, her TikTok videos, her viral videos or her infamous break up that happened sometime back with Bollywood actor Himansh Kohli. The news of the same was everywhere on the internet and her fans could not see her crying during the mid of her show or during her live concerts. It all came to light when Neha deleted all of her pictures with the actor and even unfollowed him on Instagram. The couple was well known for their PDA and was also counted amongst one of the adorable couples of the industry. The splitsville became ugly and Neha even took to the social media to talk about the same. Not only this, she even opened up about how she was in depression because of the same and till now keeps on sharing posts related to being single or being in a relationship. Despite the fact that she has deleted all of their pictures, Himansh, on the other hand, still has each and every picture on his Instagram profile which raise a question as to why? 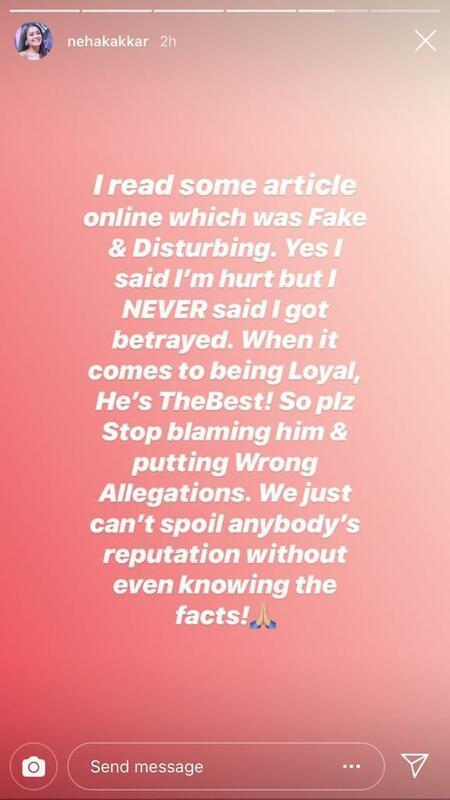 There are few who believe that the two might get back together and have broke up because of a confusion and maybe that is the reason why he hasn't deleted the pictures with Neha from her social media platform. Khush Raho Na Yaar!! #YOLO 💃🏻🙏🏼 Life’s Beautiful Just Stay Positive, Negativity Mat Laao Life Mein.. Khushiyaa Baato!! 😇 - #NehaKakkar. . Love my girls @ritikavatsmakeupandhair @deepikasdeepclicks 😘🤗 . . Song: #MeraWalaDance . Sung by @nakash_aziz and @nehakakkar . Music: @dj.lijo @djchetas . Lyrics: Kumar & Kunaal Verma . Music Supervisor: @azeemdayani . . #MyOutfit by @kalkifashion @instagladucame . Styled by @styledose1 . @ritikavatsmakeupandhair . Jewellery: @rimayu07 . #TikTok #TikTokVideo #Simmba #RanveerSingh #SaraAliKhan . She even opened up in detail about her break up and said, "That phase of my life was very difficult. Yes, I was into depression and it was difficult for me to cope up with it. It was the worst phase; however, I have come out of it now. Right now, all I can say is that being single is the best feeling of my life." What do you have to say about the two? Let us know and stay tuned for more updates!